Fitness Pollenator: TonyGentilcore.com: Are You Part of the Resistance (or the Assistance)? TonyGentilcore.com: Are You Part of the Resistance (or the Assistance)? Last week I had the opportunity to write a guest blog post for Tony Gentilcore, co-owner of Cressey Sports Performance). If you're not familiar with Tony, he's one of the most baller bloggers in the business. Although he's a real wiz when it comes to fitness, in truth, he could probably write about anything, and the whole internet would still read it. He's just that good! Click the link below to read my guest post, titled "Are You Part of the Resistance (or the Assistance)?" 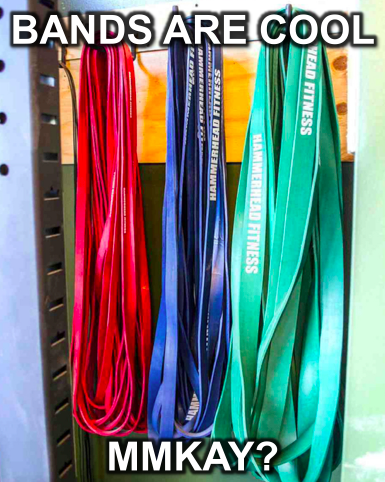 In it, I go into thrilling detail about how I incorporate resistance bands into training. There are a whole crapload of videos for the visual learners out there, too. Enjoy!